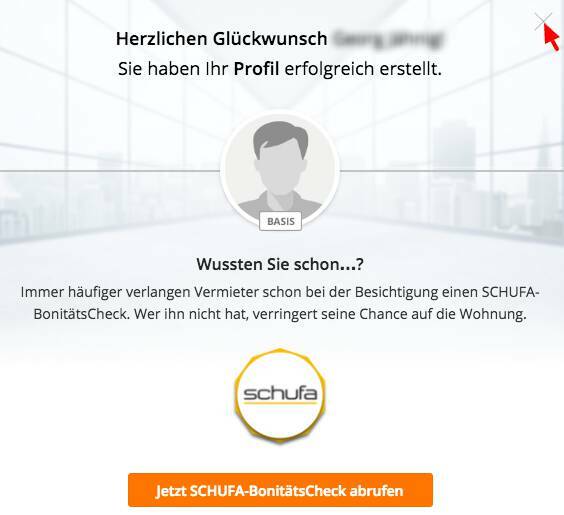 ImmobilienScout24* (or short: ImmoScout), is one of the largest real estate platform in Germany, both for buying and renting apartments and houses. Here I give an English walkthrough with screenshots for its basic functions. 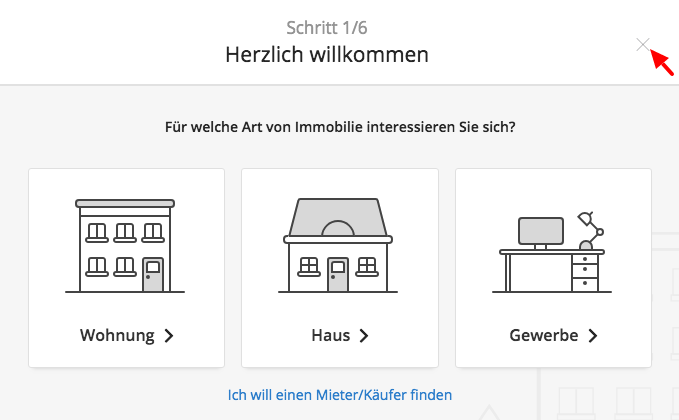 The examples are taken from Berlin but any of this should also work for a flat search in Munich, Hamburg, Frankfurt, Cologne, Stuttgart, Leipzig etc. First of all: While the ImmoScout website* is available only on German, there is both an Android and iPhone app available in English. So you can get the app – of follow this guide if you prefers to search with your desktop computer. 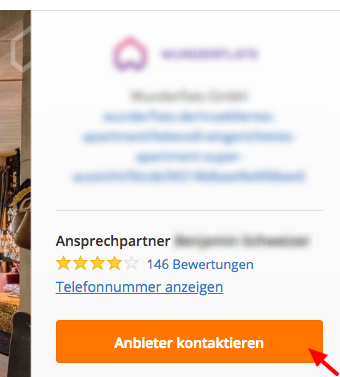 Although it is less common in Germany, there are also some offers of apartments including furniture. 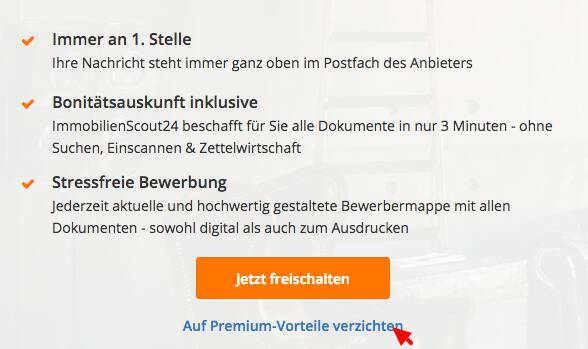 As such rental contracts are usually shorter, Immobilienscout calls this search Wohnen auf Zeit (temporary accommodation)*. Note that we do not fill out all the fields, a location / area is enough. you can create a personal account for free*. Immoscout will try to upsell your a few times to a paid option but I show you how to stay free in case you want so. 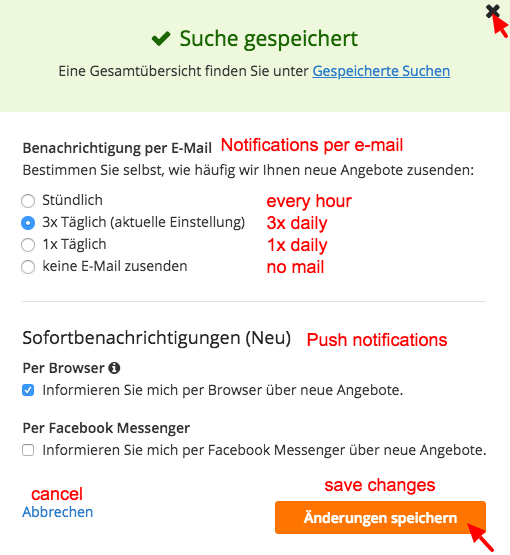 The last step: You now want to set up notifications for new offers matching your search. This way, you will immediately receive a notification when a landlord puts a new ad online that fits your criteria. Then you can contact them quickly and be in front of the queue. 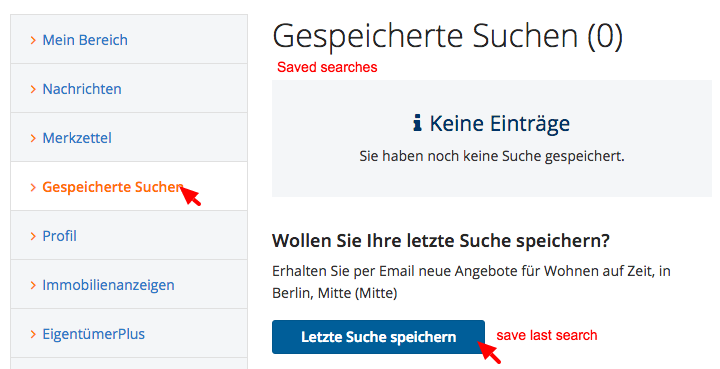 To do that, select Gespeicherte Suchen (Saved searches) from the menu on the left. In case you already did a search, an option Letzte Suche speichern will appear and allow you to create a notification out of this last search.